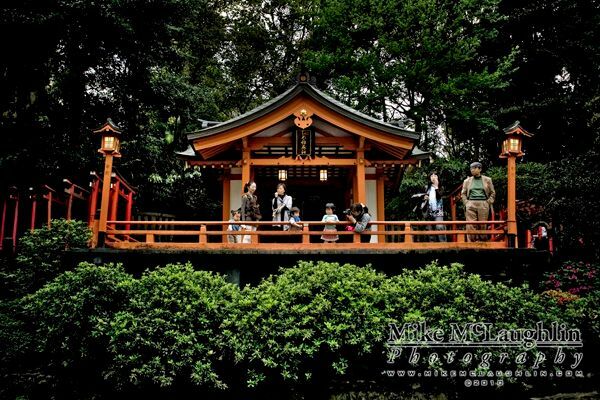 Nezu-jinja (Nezu Shrine) was established by legendary priest Yamato Takeru no Mikoto. In 1705, Tokugawa Tsunayosi, the 5th Shogun, built the structures that still stand today, one of the oldest original structures remaining in Tokyo. It is located between Ueno and Sendagi, which is where I was staying for my time in Japan, so it was an easy walk from home and I made two trips there during my stay. 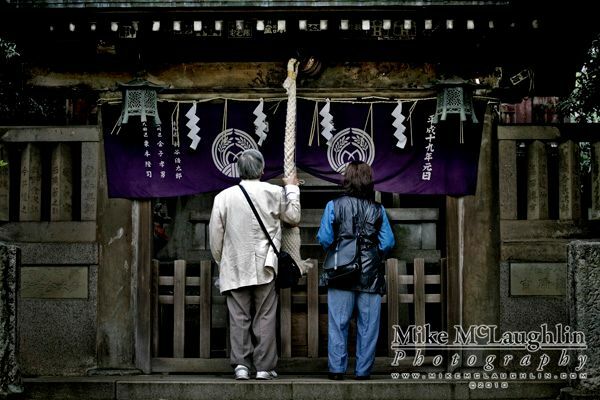 The shrine is known for its Japanese azaleas (tsutsuji), which are beautiful running alongside torii lined walkways, and wisteria (fuji) gardens, blooming from late April to early May. Otome Inari lays just beside Nezu-jinja on the same grounds. 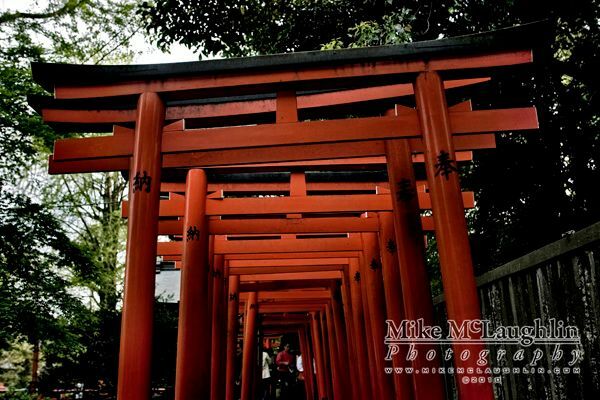 A smaller shrine dedicated to the goddess of rice, Inari, it's walkways are lined with reddish orange torii gates and fox statues (kitsune). Later in the evening we all went to Ikebukuro to a Yakiniku restaurant, niku is meat in Japanese, and I think yaki means burnt. There are grills set into the tables, and for about $25 US per person, it's all you can eat for two hours, they just keep bringing tons of different kinds of meat. It was a lot of fun, as always! One of the Heiden (offering halls) for the Otome Inari Shrine. A walkway lined with Torii gates. 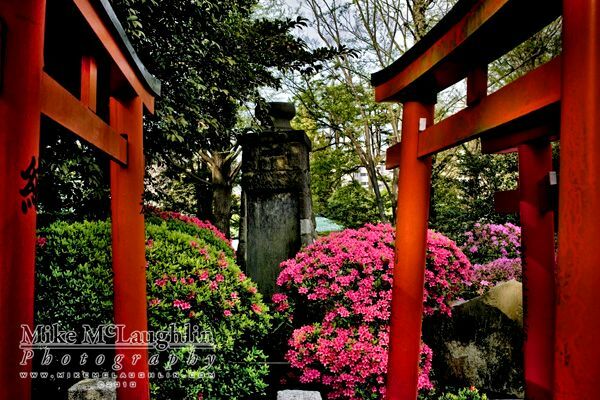 A walkway lined with Torii gates, during the Azalea Festival, makes for a very colorful sight. One of the Heiden (offering halls) at Nezu-jinja. 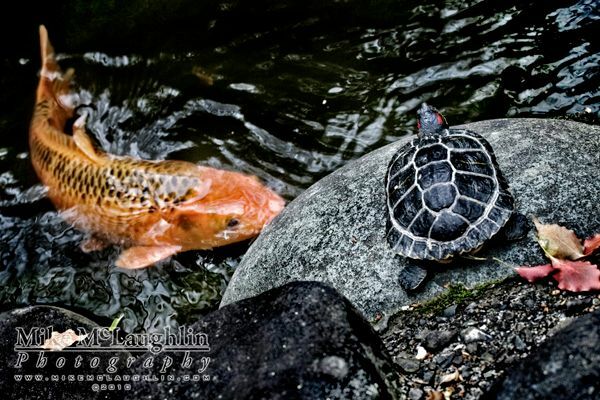 Large numbers of Koi and turtles share the ponds on the grounds of Nezu-jinja. Ayu's youngest sister Achan (Harumi), and her boyfriend Ikun, who I met for the 1st time that night, nice guy. Ayu's mother Miekosan, Yui, Emi, and Ayu. Satchan's boyfriend Atsushi and Jim, probably talking about toys or models! Ayu's middle sister Satchan (Satomi), and Achan's boyfriend Ikun. Ikun, Satchan, Jim, Emi, and Achan leaving yakiniku. Satchan and Ayu, with Yuika, at Ikebukuro Station.